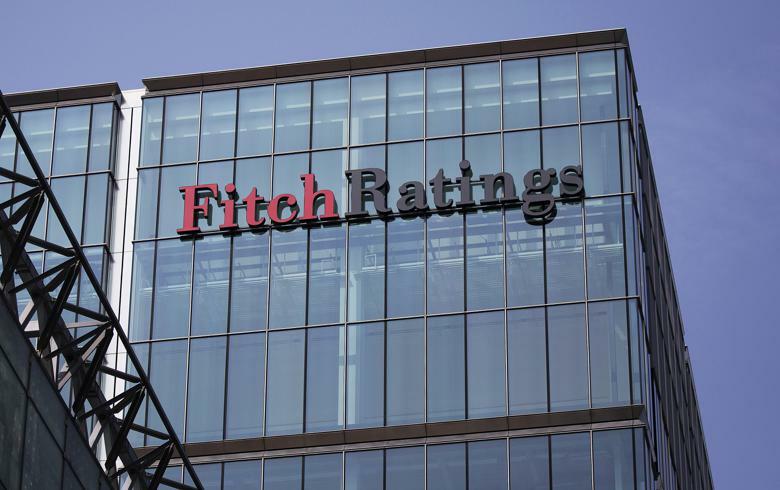 BELGRADE (Serbia), November 12 (SeeNews) - Fitch Ratings said it has affirmed Serbia's long-term foreign- and local-currency issuer default ratings (IDR) at 'BB', with a stable outlook. Serbia's ratings are supported by governance, human development and ease of doing business indicators that exceed the majority of 'BB' category sovereigns, Fitch said in a statement late on Friday. The presence of an International Monetary Fund (IMF) Policy-Coordinated Instrument (PCI) provides an anchor on reform and policy direction consistent with further strengthening of macroeconomic fundamentals and public debt reduction, Fitch said. However, Serbia's ratings are constrained by its lower growth potential, as well as higher level of public and net external debt ratios to gross domestic product (GDP) relative to category peers, the ratings agency warned. "Serbia's economic recovery has been stronger than Fitch expected. Economic growth in 1H18 accelerated by 4.9%, boosted by a strong pick-up in investment activity, as well as higher growth in both household and government consumption. Positive contributions from domestic demand offset negative net exports, where imports of investment-related goods outpaced positive export activity. The stronger cyclical rebound has led Fitch to revise up its real GDP forecast by 0.8pp, with the agency now expecting growth in 2018 to reach 4.3%, before moderating towards an average of 3.2% in 2019-2020. Despite the near-term pick-up in cyclical growth, Serbia's medium-term potential growth is constrained by several factors, including negative population growth and relatively low domestic savings ratio. An improved macroeconomic environment and higher portfolio inflows have strengthened the RSD/EUR exchange rate, although the pace of appreciation has slowed in 2018 compared with 2017 (0.3% year-to date vs 4.2% in 2017). Net FX purchases by the National Bank of Serbia (NBS) amounted to EUR1.6 billion as of end-September, and have helped stem appreciation. Meanwhile inflation remains subdued, and Fitch expects it to average 2.0% in 2018 before picking up towards the NBS inflation target of 3.0% in 2019. Serbia's public finances are expected to record another surplus this year. While government spending increased in areas of public sector salaries, social welfare and capital investment, revenue growth has remained strong against the favourable cyclical backdrop. As a result, Fitch has left its 2018 forecast for a fiscal surplus of 0.5% of GDP unchanged. For 2019, the government has agreed with the IMF to target a fiscal deficit of 0.5% of GDP. Fiscal priorities in the 2019 budget (still in its draft stages) are likely to include an increase in public investment, reduction in the labour tax burden, and measures to improve standards of living, using fiscal space generated by previous consolidation. Serbia's general government debt ratio is forecast by Fitch to reach 54.0% of GDP in 2018, 4.7pp lower than 2017's debt ratio of 58.7%. Persistent primary fiscal surpluses have helped put debt on a firm downward trajectory, but fiscal risks remain. Serbia's debt structure is more exposed to FX risk than its peers, with the share of FX-denominated debt to total debt at 72%, compared with the current 'BB' median of 61%. Contingent liabilities from state-owned enterprises (approximately 4.0% of GDP) are incorporated in the general government debt number and regularly crystallise onto the budget. Net external debt (25.0% of GDP in 2017) is above the current 'BB' median (9.5% of GDP). The majority of external debt is owed by the sovereign, and by the non-bank private sector, where risks are partly mitigated by a large proportion of intercompany lending (around 75% of total non-bank private sector liabilities). Fitch expects a stabilisation in the net external debt ratio in 2018-2019. In both years, net inflows of FDI are projected to cover current account deficits forecast at 5.6% of GDP and 4.9% of GDP, respectively. Banking sector asset quality and capitalisation continue to improve. By end August 2018, non-performing loans were 6.5%, compared with a peak of 23.2% in May 2015. Meanwhile, the average capital adequacy ratio of the sector was 22.9% compared with 22.6% at end-2017. Excluding the effects from ongoing write-off of non-performing loans (NPLs) in the sector, total credit growth in 1H18 averaged a robust 14.2% year-on-year, with corporate and household credit growth up 14.3% and 14.6%, respectively. Planned restructuring of state-owned banks (SOBs), which account for 16% of total banking sector assets (11.5% of GDP), should further strengthen the banking sector. Progress in addressing weaknesses in SOBs has been slow. However, authorities have begun the progress of seeking a financial adviser for the privatisation of Komercijalna Banka (Serbia's third-largest bank, accounting 10.8% of banking sector assets). The government remains committed to EU integration. However, progress towards the 2025 target for membership remains constrained by delays in the implementation of institutional reform, most notably in the area of anti-corruption, and poor relations with regional neighbours. Meanwhile, progress under the new IMF 30-month PCI support programme (signed in July following the successful completion of a Stand-By Arrangement in February) has been positive and serves an important anchor for maintaining fiscal and macro-economic stability. Fitch's proprietary SRM assigns Serbia a score equivalent to a rating of 'BB+' on the Long-Term FC IDR scale. -Macroeconomics: -1 notch, to reflect relatively weak medium-term growth potential due to structural rigidities (including high unemployment, large informal economy and adverse demographics and the large and inefficient public sector). -An improvement in medium-term growth prospects without creating macro-economic imbalances. -Fiscal consolidation resulting in a further reduction in the government debt-to-GDP ratio. -A significant fiscal loosening that leads to a trend increase in the government debt burden. -A recurrence of exchange rate pressures leading to a fall in reserves and a sharp rise in debt levels and interest burden. -Worsening of external imbalances leading to increased external liabilities. -Fitch assumes that EU accession talks will remain an important policy anchor."